This brown spider is nowadays commonly called a drain spider, after its habit of becoming trapped in sinks and bathtubs. Many folks mistakenly think they come out of the drain. They can be a startling sight, but are harmless to people and their pets. 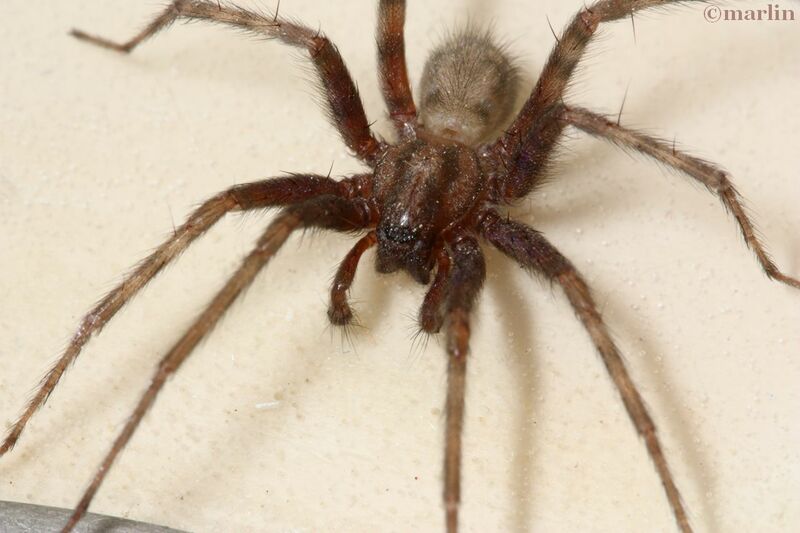 This spider bites only defensively, and the symptoms are less than a mild bee sting. You’d have to work pretty hard to provoke one of these gentle creatures into biting. The barn funnel weaver is closely related to the so-called Hobo spider (Tegenaria agrestis), found in the Pacific Northwest. 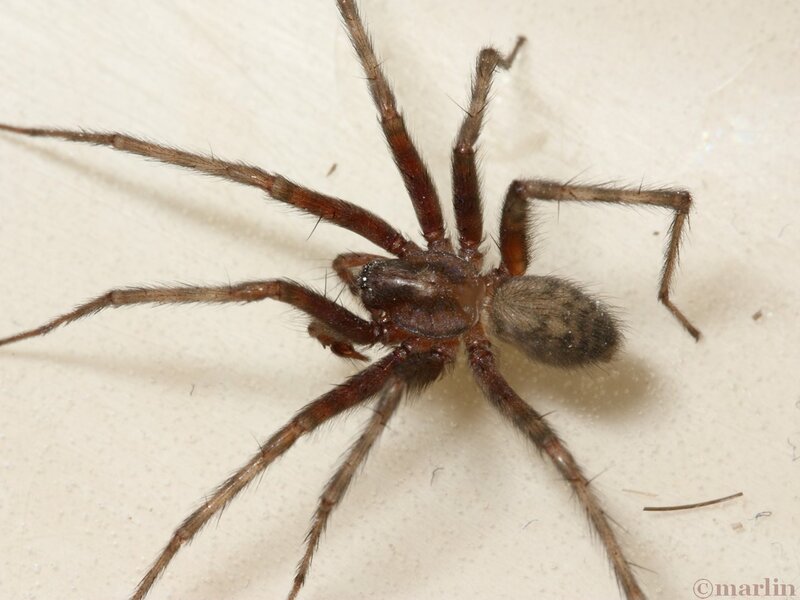 The hobo spider has been rapidly expanding its range since its introduction (from Europe) into the Seattle, Washington area in the 1930s and has moved into neighboring states. 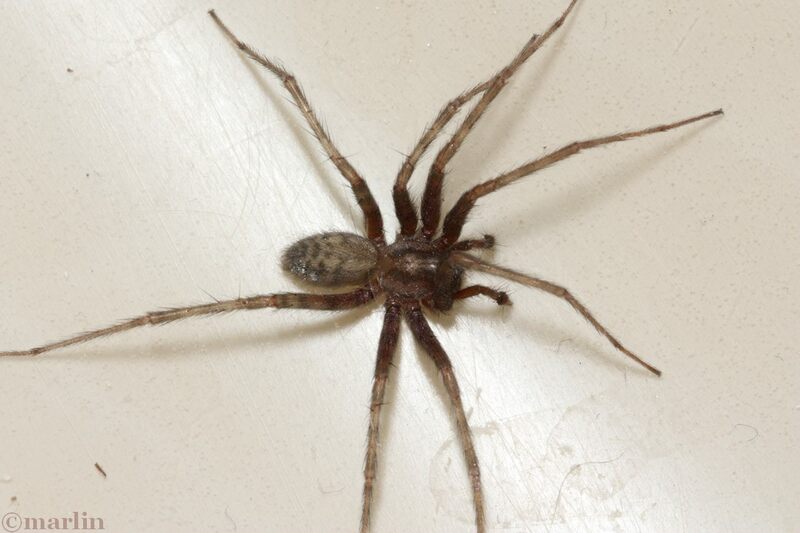 It has been implicated as a spider of ‘medical importance’ as several studies indicated the hobo spider bite caused necrotic tissue lesions (helpfully termed ‘necrotic arachnidism’) either through the actions of hemolytic venom, or the introduction of pathogenic bacteria into the wound. Though this spider’s body is only 8mm, the legs stretch to 45mm (almost 2 inches), a startling sight indoors. I found this guy (where else?) in my sink. Yow!